← A simple activity for a sunny day! 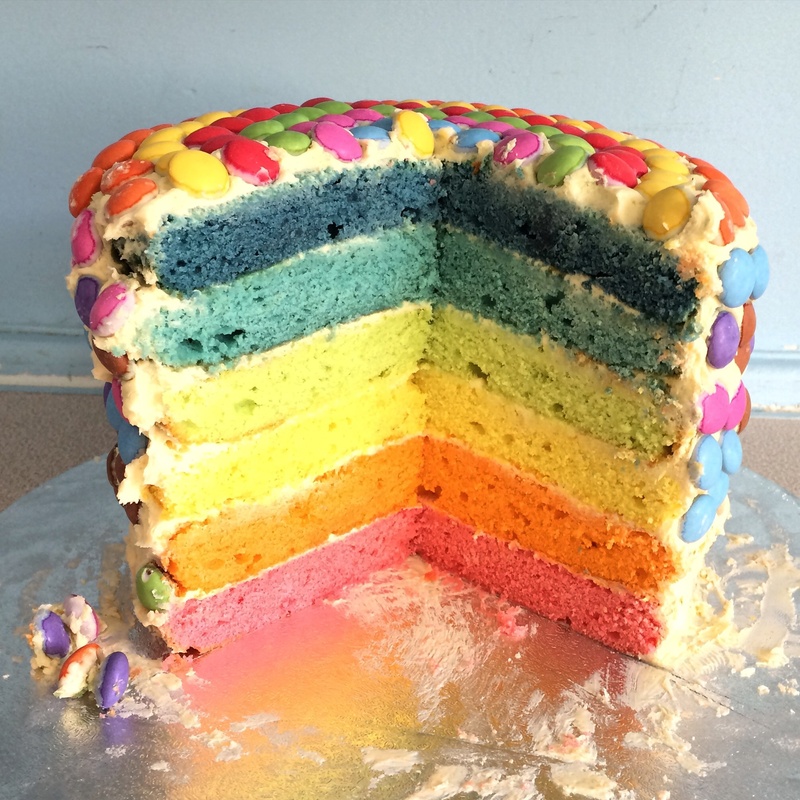 I am so pleased with the rainbow cake I made that I just have to share with you how I made it! In a blender mix 3 eggs, 6 oz flour, 6 oz caster sugar, 6 oz butter, 1tsp baking powder, 1 tsp vanilla essence & 1/4 tsp salt. 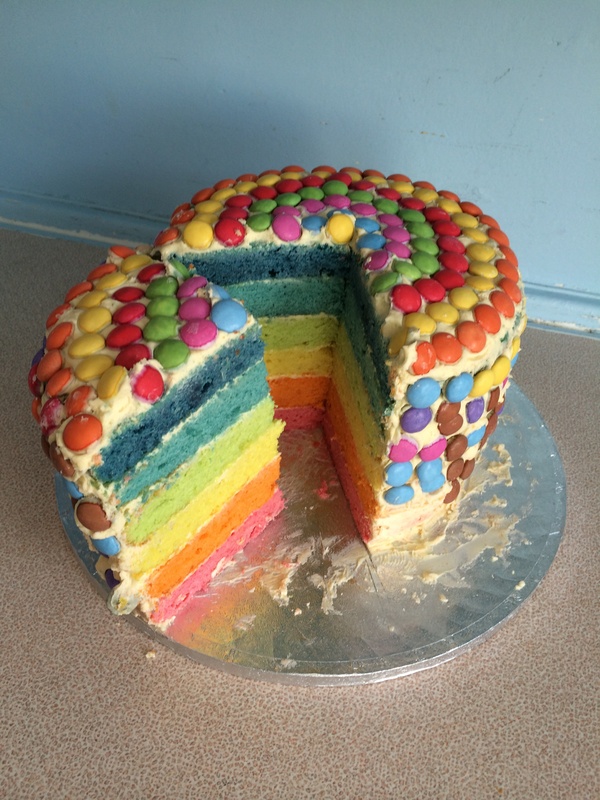 Add food colouring (I got specialist gels from Dodgsons in Otley) .. Don’t try using natural food colouring – it’s too weak and won’t work (I had a failed attempt before I figured this out!) just the tiniest bit of food gel/paste colouring is all you need. Pop in oven for approx 12 mins – keep checking with a skewer – when it comes out clean they are ready. Pop on the side to cool. 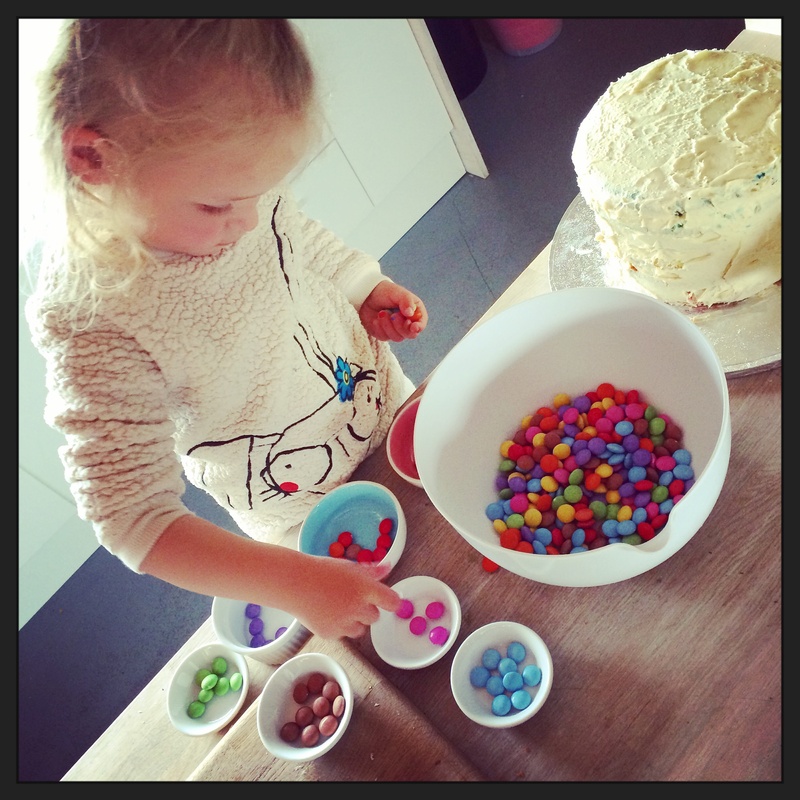 I had to remove mine from cake tins straight away to prepare the tins for the next bake. Always flip cake on to it’s top to help make it settle flat. When all cakes are cooled (don’t put in fridge) start layering them up by glueing them together with the cheese style butter icing. Then use the same butter icing for the sides and top. 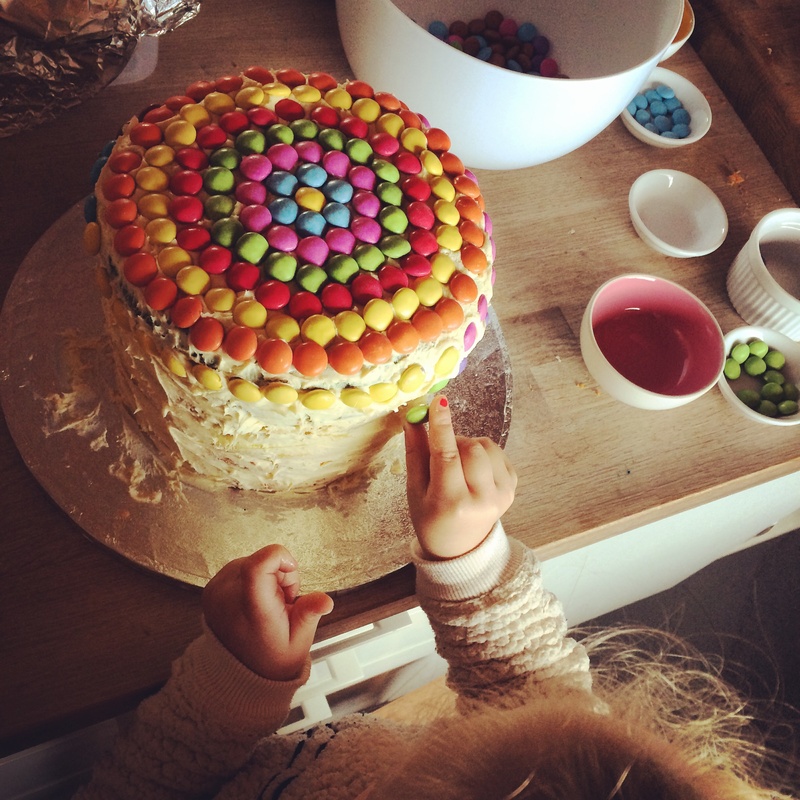 Rosie enjoying helping me stick smarties all over the cake to finish it off. It looked fab! And tasted delicious. I’ll be making this again! 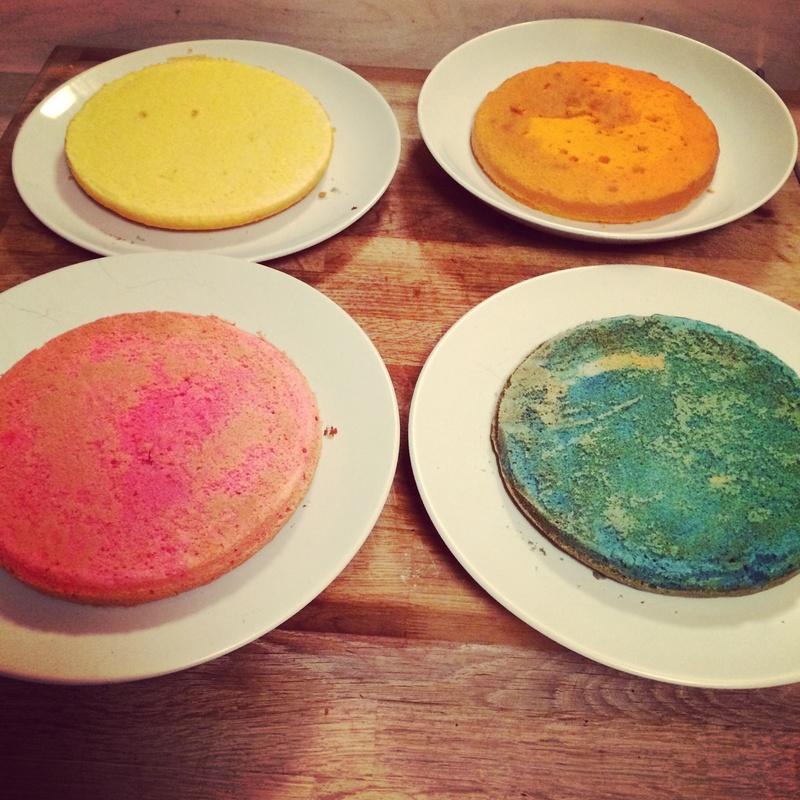 Please share photos of your rainbow cakes if you give it a try. 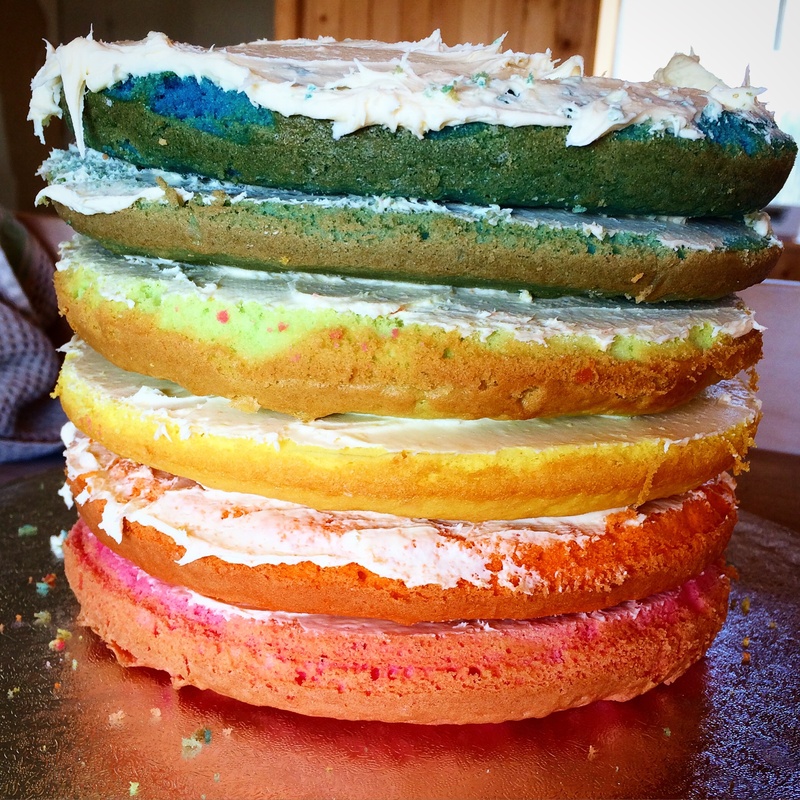 This entry was posted in Our life, Recipes we love ... and tagged Birthday cake, Cake recipe, Rainbow cake. Bookmark the permalink.